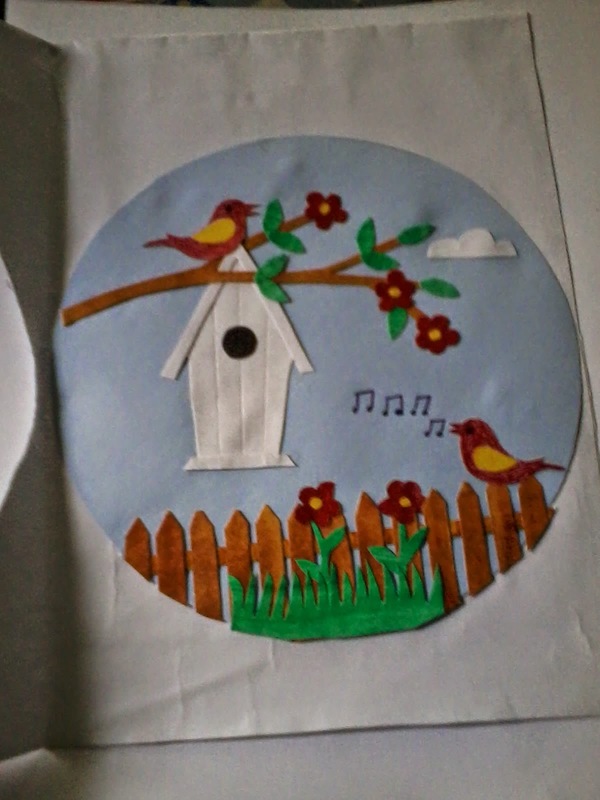 I used chart paper for bird house ,birds, fence and grass.The flowers are made from felt paper. 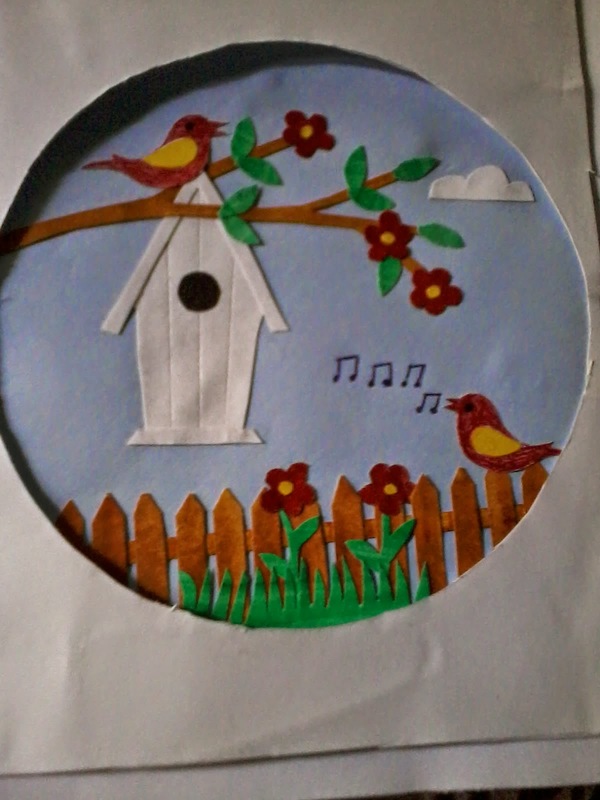 Everything is hand drawn and hand cut. Oh this is so cute!! A wonderful card!! Thanks so much for playing along at CCCB!! What an adorable and happy scene! Thanks so much for playing along at CCCB! !